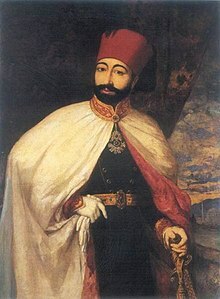 Mahmud II (Ottoman Turkis: محمود ثانى Mahmud-u sānī, محمود عدلى Mahmud-u Âdlî) (Turkis: II. Mahmud) (20 Julie 1789 – 1 Julie 1839) wis the 30t Sultan o the Ottoman Empire frae 1808 till his daith in 1839. This page wis last eeditit on 5 August 2015, at 00:38.